It's true what they say about NAS solutions; once you've used one, you'll wonder how you ever lived without. 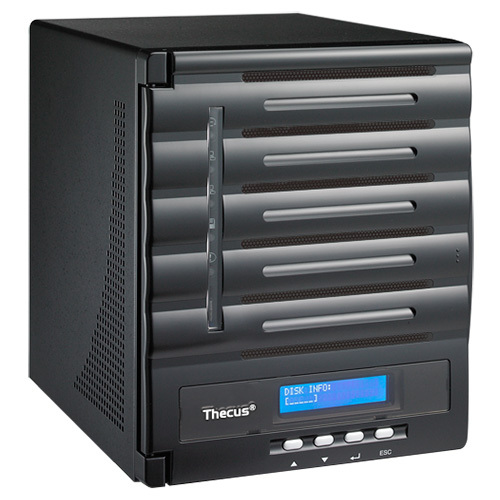 But if you're umming and arring about taking the plunge, you're in luck as we've teamed up with Thecus to give away a five-bay N5550! With an Intel Atom processor, 2GB of memory, USB 3.0 connectivity and support for five 4TB disks, this little box of tricks will handle all of your storage needs and more. Whether you're a home user looking to share content between devices, or a business user in need of iSCSI thin provisioning, Thecus has you covered. Thanks hexus.net for another giveway..